Runny nose… Cough… Fever… Headache – These symptoms are very common, not only during the winter months, but the whole year round. One minute you have an Upper Respiratory Infection, the next thing you know it progresses to Pneumonia. What is the difference between the two and how are they related to each other. Read on to know the answers. Pneumonia is not a specific disease, it is actually a general term to describe the inflammation of the lungs caused by viruses or bacteria. It can also be caused by physical and chemical injury to the lungs. Pneumonia occurs when the alveoli or the air sacs of the lungs reacts to the causative factors and becomes filled with fluid. This leads to mild to severe respiratory distress syndrome. Pneumonia is a diversified respiratory condition, thus different terms had come to emerge. If a doctor diagnosed you to have “double pneumonia” this simply means that both of your lungs are inflamed. Sometimes, you may also have “bronchopneumonia”, a patchy inflammation of one or both of your lung fields. “Lobar” pneumonia on the other hand, is a term used when one or more lobes of the lungs are affected. 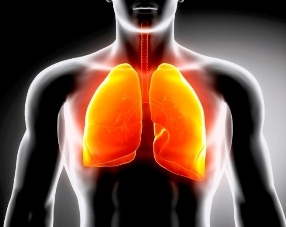 Bear in mind that the larger the affected lung area, the more severe signs and symptoms are manifested. So, if you are diagnosed with pneumonia, ask for a more elaborated description and what type it is. The most common bacteria that cause Pneumonia are Streptococcus Pneumoniae. However, it can also be caused by other gram positive or gram negative bacteria. Compared to the other types, Bacterial Pneumonia is much more severe, especially if no prompt treatment is rendered. Antibiotic therapy is the treatment of choice when it comes to this type of Pneumonia. Walking Pneumonia is also known as Mycoplasma Pneumonia. It is atypical in nature, also caused by bacteria. The signs and symptoms are usually mild and sometimes it is absent not unless a person is severely infected. This type of Pneumonia is caused by a virus. It is less severe compared to the other types. Usually it needs no treatment because it is a self-limiting respiratory condition. But in extreme cases, hospitalization is needed for further medical management. This type of pneumonia is caused by chemical or physical injury to the parenchyma of the lungs. Inhalation of toxic fumes or irritants and aspiration of food, liquid and the like are some factors that cause this type of pneumonia. The inflammation usually resolves in a few days. However, in severe cases, Aspiration Pneumonia can block the air passages and can cause respiratory arrest. Maybe you are familiar with this condition. It is usually accompanied by a runny nose, nasal congestion, sneezing, sore throat and other respiratory symptoms. It has an acute onset that lasts for a week or less. Most often than not, common cold is caused by a virus, hence antibiotic therapy is not needed and is useless. Most cases of sore throat are caused by streptococcal infection. This URI is more common among kids than in adults. The most significant symptom is enlarged tonsils and severe sore throat. Sinusitis is the inflammation of air cavities located in the frontal and maxillary bones of the head. 40% to 50% of sinusitis cases are usually caused by bacteria, so it is important to see your doctor for a prescription of antibiotics. This condition can persist up to 4 weeks, but if other aggravating factors are present it usually lasts longer. Ear infections are considered as an URI. 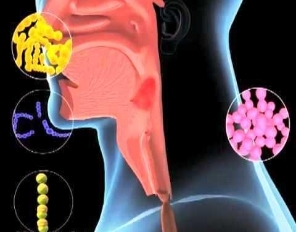 This usually happens when the infection from the nose or the throat travels to the ears because of its close proximity. The symptoms are pretty unmistakable because the pain occurs around the ear. Kids are more susceptible to this condition and most of the time antibiotics clear up the infection quickly. Jade Sison. "The Difference between Pneumonia and Upper Respiratory Infection." DifferenceBetween.net. November 8, 2018 < http://www.differencebetween.net/science/health/the-difference-between-pneumonia-and-upper-respiratory-infection/ >.